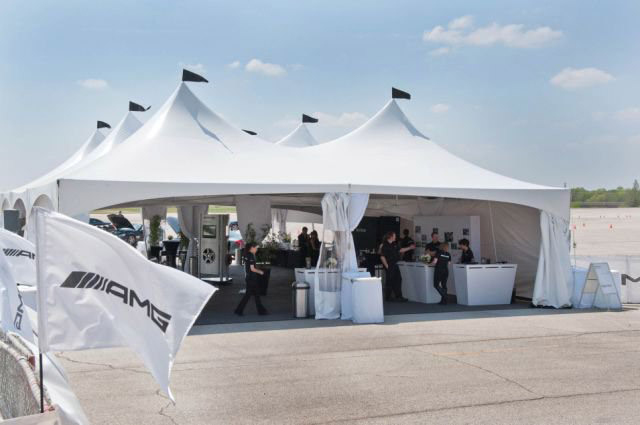 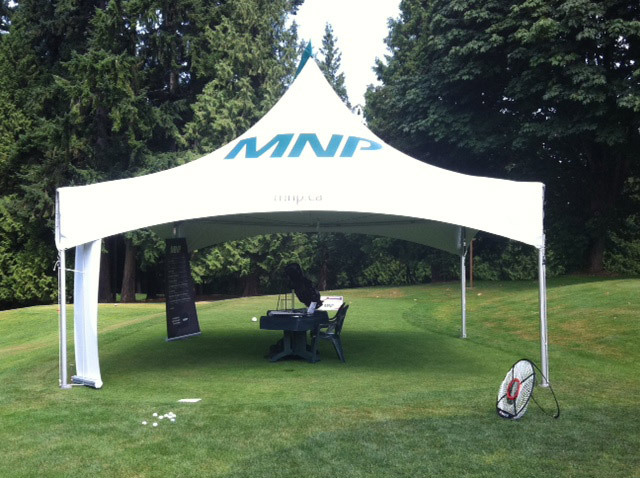 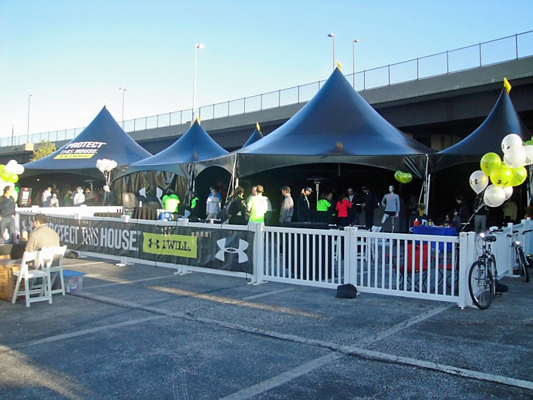 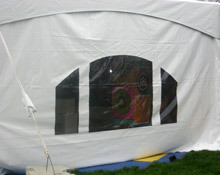 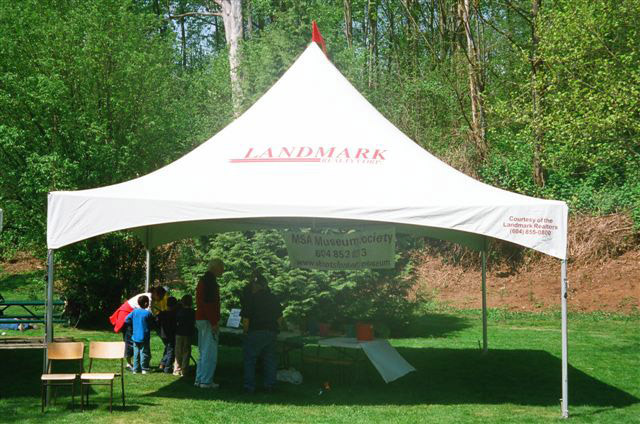 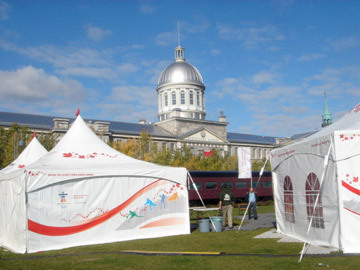 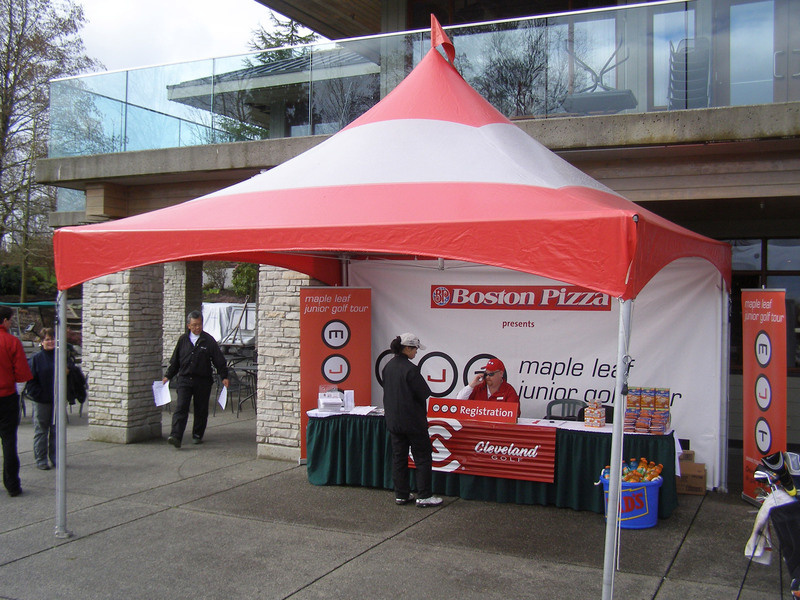 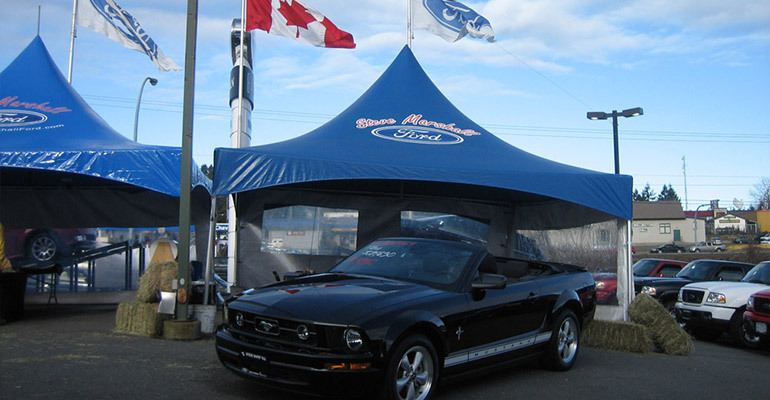 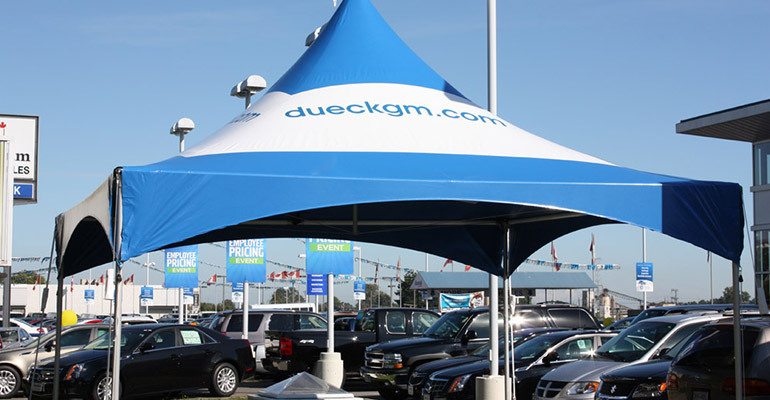 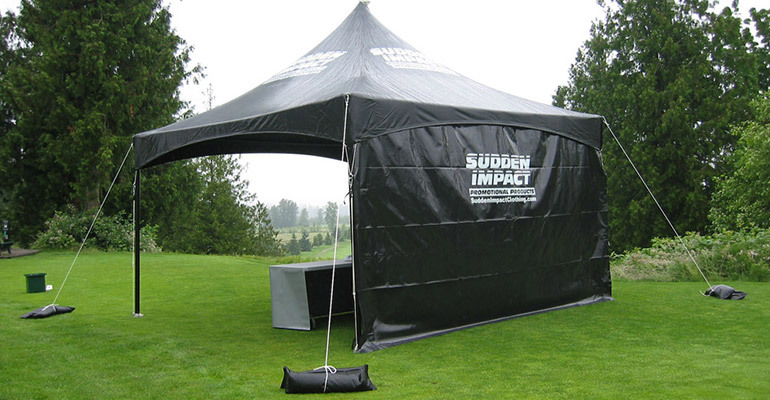 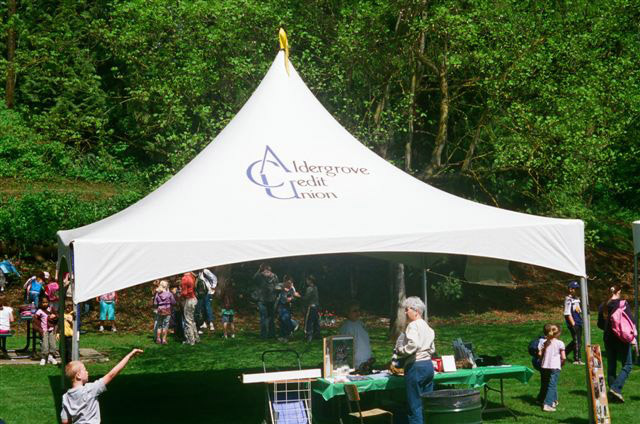 The Marquee tent is designed with durability, efficiency, portability and style in mind. 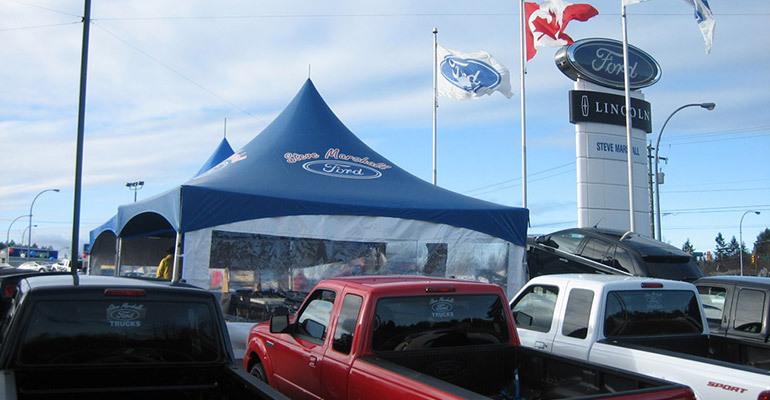 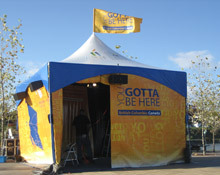 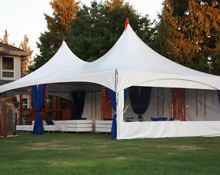 All Marquees can be customized to fit your needs. 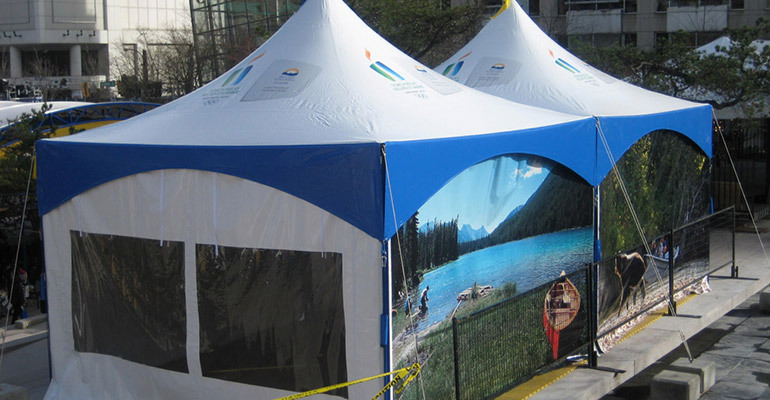 Our in-house printing along with seamless wrap printing solutions allows for an uninterrupted representation of your corporate image. 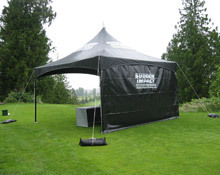 Manufactured from strong and durable fabrics, ensuring long life and serviceability. 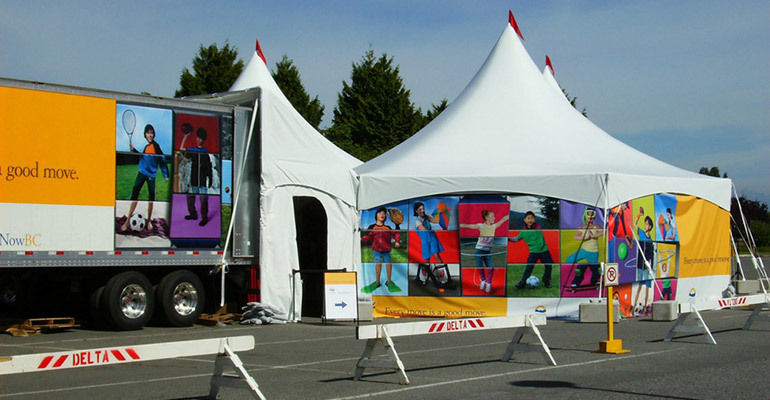 All fabrics are welded at Ideal’s Vancouver Plant and are treated to resist mildew, ultra-violet degradation and abrasion. 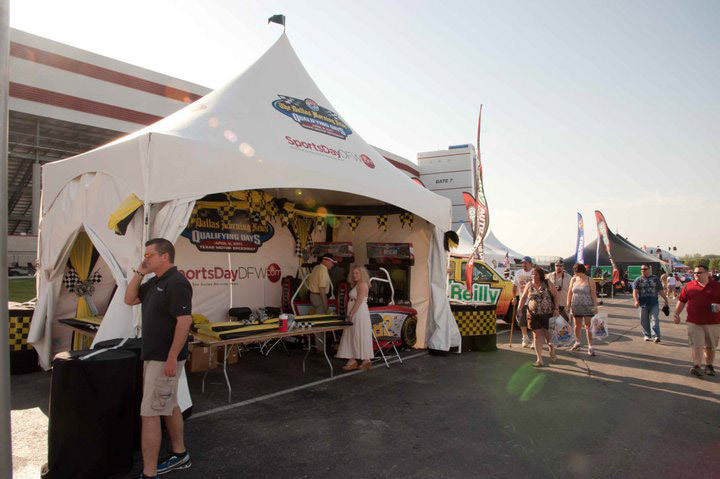 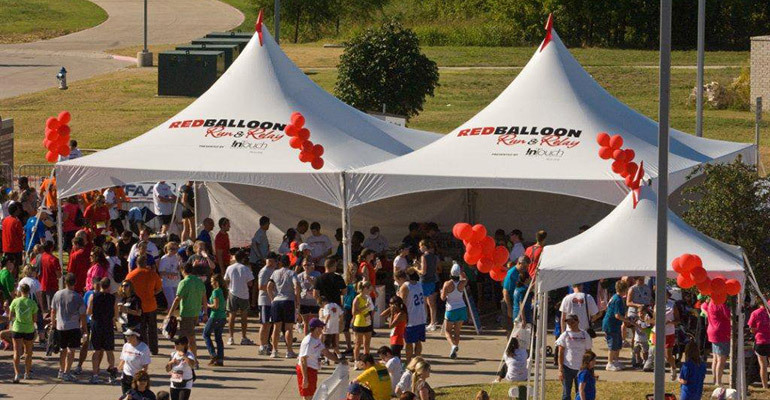 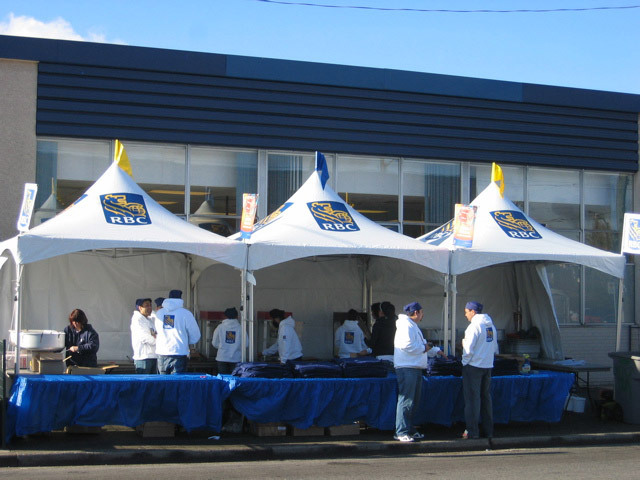 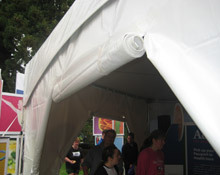 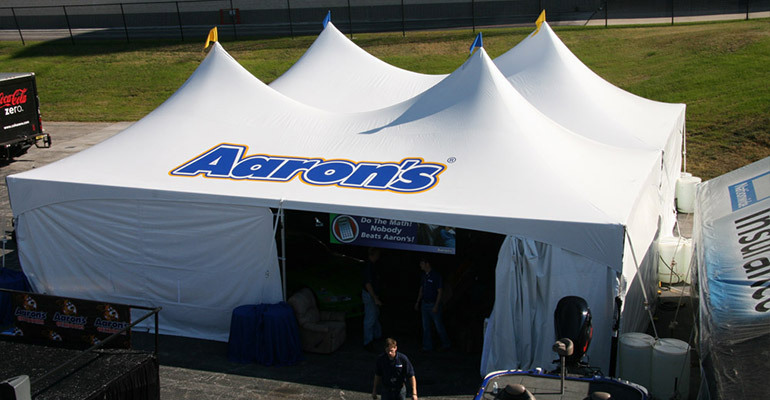 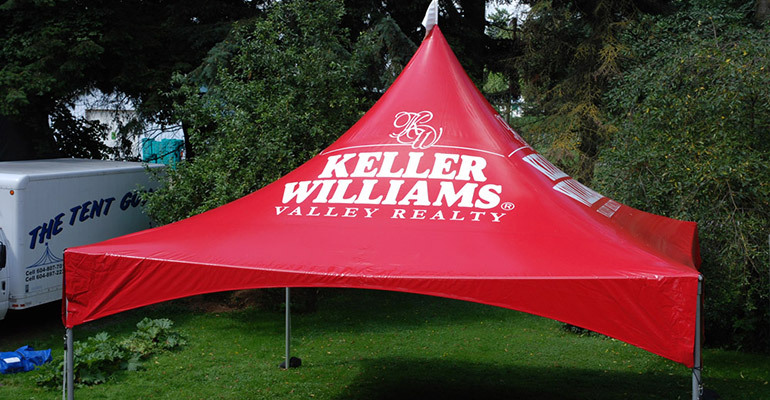 Standard fabric for marquees consists of 15 oz. 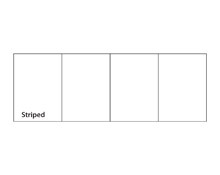 opaque white vinyl certified by the California State Fire Marshall. 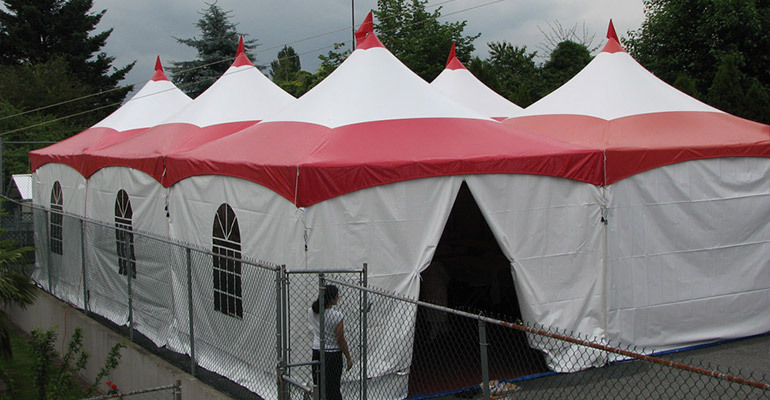 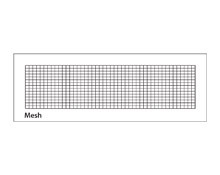 Meets and exceed NFPA 701, CAN-UCL S109 and M2 Standards. 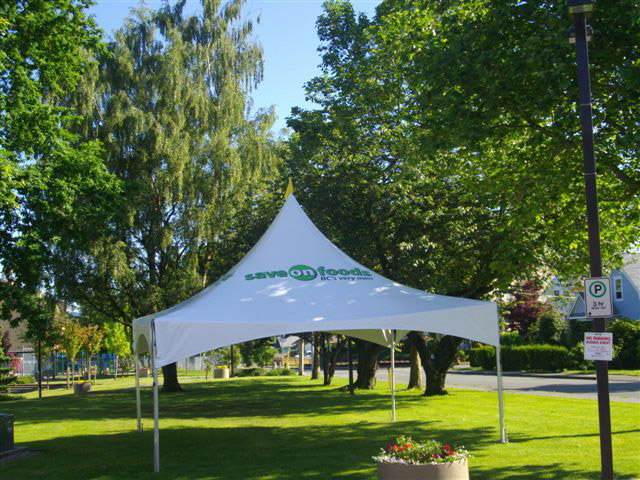 Our Marquee is designed for a quick and easy set-up. 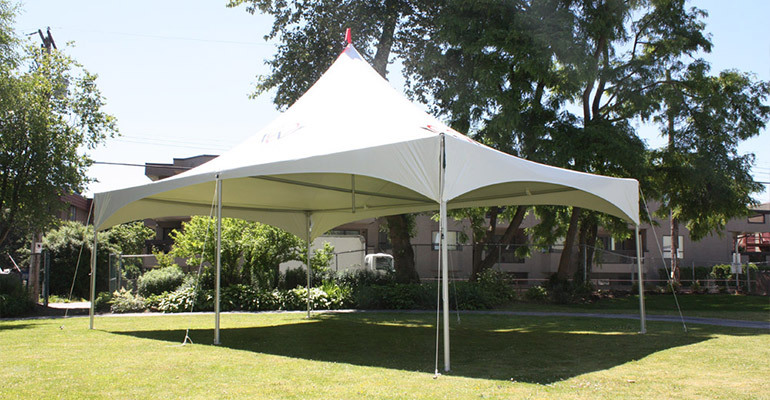 These tension frame structures consist of 2 ½” structural aluminum tubing; aluminum cast fittings, cast feet, cross cables, centre poles and spikes. 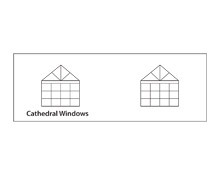 Standard side height is 8’ and 9’-3”. 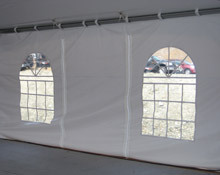 We also carry leg extensions for increased height. 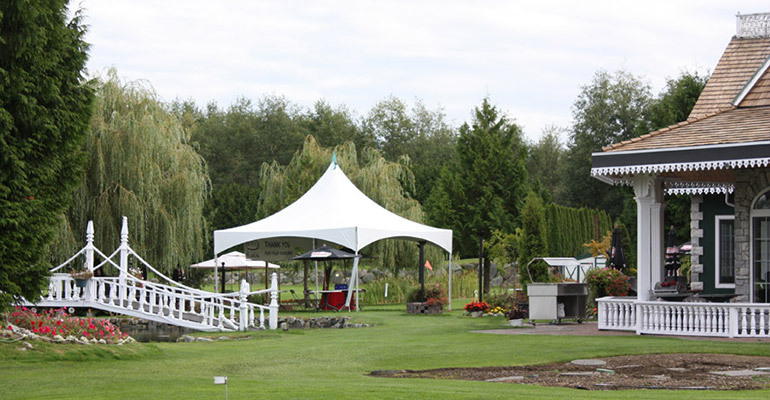 All fittings are foundry cast or manufactured exclusively in house at our Vancouver Plant.